The Scarsdale Diet took America by storm after its publication in 1979. While it has been supplanted by many other diet fads since that date, it remains one of the first menu-oriented short-term diet plans. The Scarsdale program consists of two phases. Each phase consists of a specific set of guidelines which are to be followed to the letter. No substitutions are allowed in this phase. Overall, the diet is high in protein, low in carbohydrate, low in fat, and low in calories. The general proportions of the macronutrients are 43 percent protein, 22.5 percent fat, and 34.5 percent carbohydrate. Compared to the standard American diet (protein 10%, fat 45%, and carbohydrate 45%), the Scarsdale Diet represents a radical change of eating habits for the average person. Phase One is a series of daily menus that is followed for two weeks. No substitutions are allowed, as the menus have been carefully planned to provide optimal nutrition while supporting rapid weight loss. The only snacks allowed during this time frame are carrots and celery. Fats are avoided; meats are carefully trimmed; salads are dressed with lemon juice and vinegar; and vegetables are dressed only with lemon juice and no oil. 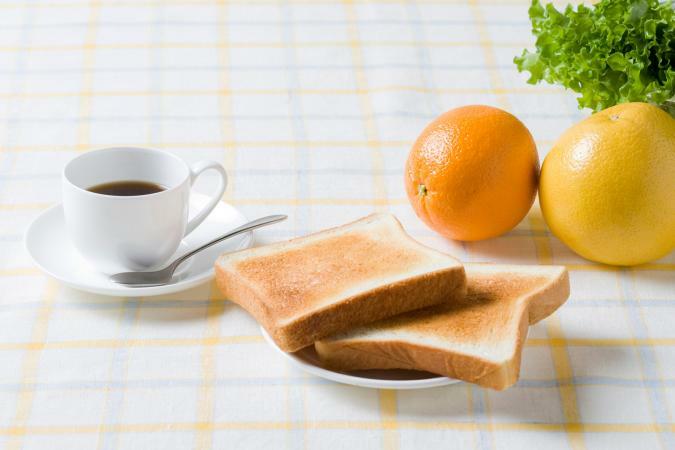 During this phase of the diet, breakfast is one-half of a grapefruit and one slice of toasted, dry protein bread, with a cup of black coffee or tea. Protein bread is made with non-wheat flours, which may include flax meal, soy flour, psyllium, coconut flour, pea protein, and lupin flour, along with whey protein and eggs. It has a very low carb count and is, obviously, high in protein. If you want to make your own, choose a recipe that uses many of these high protein ingredients. Lunches and dinners are specified in the diet book, and usually include a portion of lean meat or other protein, a salad or vegetable, and additional protein bread or grapefruit. Foods that are allowed include nonfat dairy, leafy green vegetables, broccoli, canned tuna, and lean meats, along with herbs, lemon juice, soy sauce, and mustard. Herman Tarnower's The Complete Scarsdale Medical Diet includes two-week menu plans for various special circumstances, including gourmet, vegetarian, and international (ethnic) cooking. Following the 14-day medical diet, dieters continue weight-loss and health-building by following the Keep Trim Program. Dieters alternate following each two-week plan until the goal weight is achieved, at which point they continue following the healthy eating habits that they have learned while following the rules of the Keep-Trim phase. While following the Keep-Trim program, no sugar is allowed, no dairy fat, no candy or dessert other than fruit or sugar-free Jell-O, and no potatoes, noodles, or flour-based foods. Alcohol intake and protein bread are restricted. Carrots and celery are "free foods." No peanut butter, sausage, bacon, or other fatty meats are allowed. Lean meats are permitted, including red meats, poultry, fish, and shellfish. 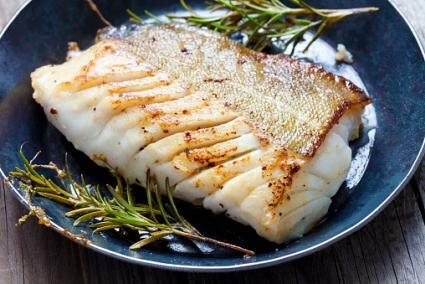 Lean meats include trimmed steaks such as sirloin; extra-lean ground beef; skinless chicken breast, fish fillets such as cod or halibut; and shellfish such as clams, mussels, and sea scallops. Up to three eggs per week are allowed, as is any cheese, in small quantities of about one ounce. Condiments and low-fat, low-sugar dressings are allowed. Dieters can drink tea, coffee, or water. Take your time and don't rush through your meals. Chew your food thoroughly. Avoid high-calorie snacks, keeping celery, carrots, cucumber, and zucchini on hand for snacking. Use sugar substitutes instead of indulging in real sugar. Do not start your meals with bread or rolls. Avoid rich, fatty sauces on vegetables and meats. Make sure that you get enough exercise. There are pros and cons of every diet, of course, and this one has many proponents and opponents. If you're considering this diet, the following pros may help you decide. The diet was developed by a doctor. It has helped people combat heart disease and has, some claim, even reversed heart disease. This diet does deliver with quick weight loss, which can help people who have been discouraged on other diets. The diet is easy to follow since many people have trouble sticking to a diet that has many choices. The high protein content of this diet curbs hunger, so dieters who have been hungry on other diets may feel more satisfied. Dieters do not have to count calories or fat or carbohydrate grams in each meal. However, the diet has negative aspects, as well. Many nutritionists say that the Scarsdale diet is not safe. Samantha Heller tells WebMD that "one of the reasons these diets have fallen by the wayside is that they are very calorically restrictive. They are not practical, reasonable and clearly, they are not healthy." Consuming too few calories is unsustainable over the long run. Much of the weight lost during the first two weeks on this diet is water. Very quick weight loss can boomerang, and most people regain the weight when they go off the restrictive phase of the diet. Nutritionists are also concerned that fat is so restricted on the diet. Most healthy adults should consume 20 to 35% of their total daily calories from fat. Fat is needed for healthy brain function, cell development, nerve function, and hormone formation. When so many foods are restricted, dieters will miss out on consuming trace elements that are essential to good health. Likewise, there are no clinical studies to support this diet, proving it is safe and effective. According to WebMD, the American Dietetic Association says that both low-carb and high-protein diets are not part of a long-term weight loss regimen. Dietician Leslie Bonci says," These diets are not safe, they are not healthy, and they are not a good way to try to get healthy... it's dangerous to your body chemistry." If you have not had success on diets before, you could consider the Scarsdale Diet as a starting point. However, this diet is not sustainable long term, and it restricts too many foods and therefore, nutrients. It's important that anyone considering this diet check with their doctor before they start.